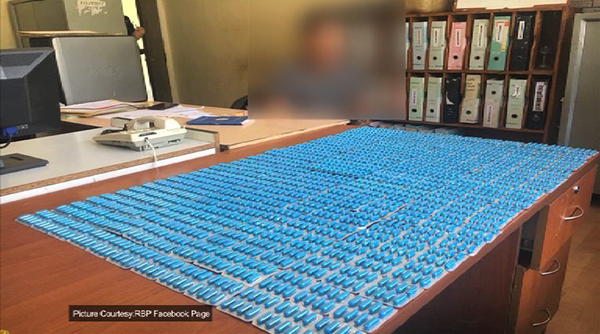 Thimphu police arrested a 43-year-old taxi driver from Lhuentse for allegedly possessing 2688 SP+ capsules from Babesa yesterday. According to the police, the capsules were recovered from his vehicle. The suspect also has a past record of a similar case in 2017.